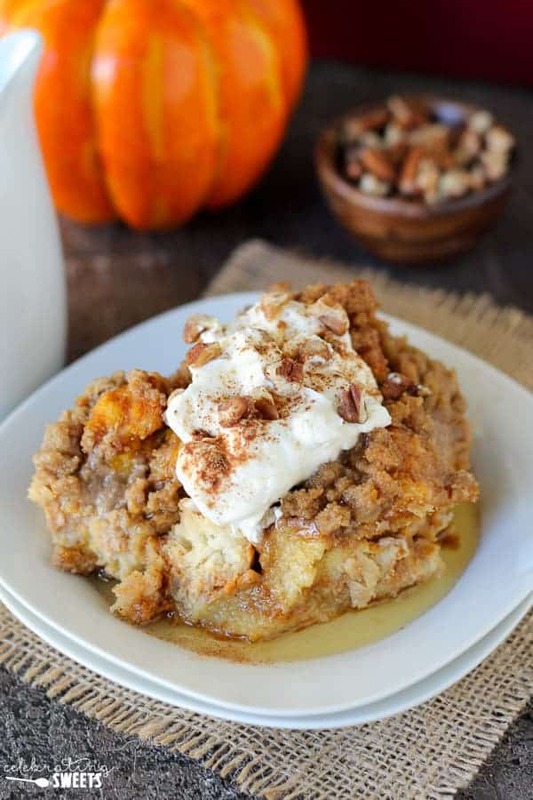 Baked Pumpkin French Toast Casserole filled with fall flavors – pumpkin, warm spices, brown sugar, and vanilla. The inside is soft and fluffy with a crunchy brown sugar crumble topping. An easy breakfast, brunch, or holiday entertaining dish that can be prepped ahead of time. I know, I know. Earlier this week I shared Chocolate Coconut Pecan Pie Bars and now I’m shoving sweet and fluffy Pumpkin French Toast in your face. Indulgent much? I promise to throw something lighter your way soon, OK? But for now, let’s talk French toast! It is almost the weekend, and fall weekends require pumpkin french toast. It’s a fact. I checked. 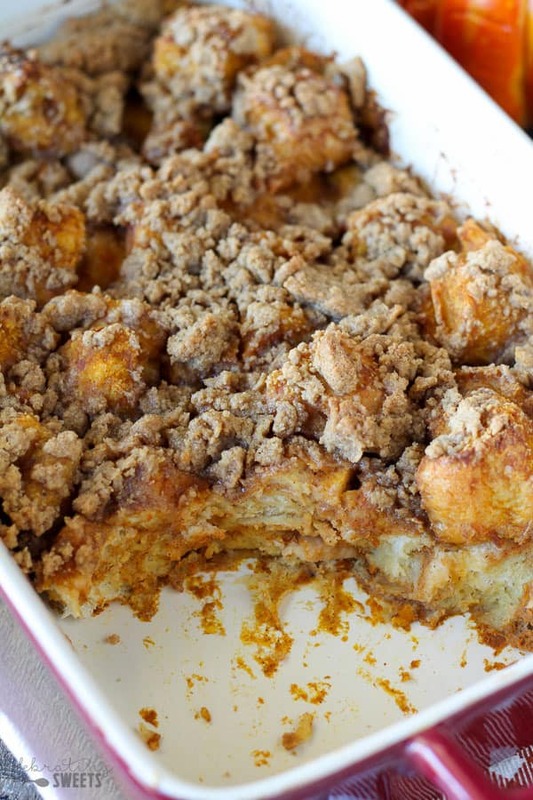 If you’ve been around for a while, you might know that I love French toast casserole. I have previously shared a Cinnamon Vanilla version, an Orange Cranberry Walnut version, and a Banana Brown Sugar version. 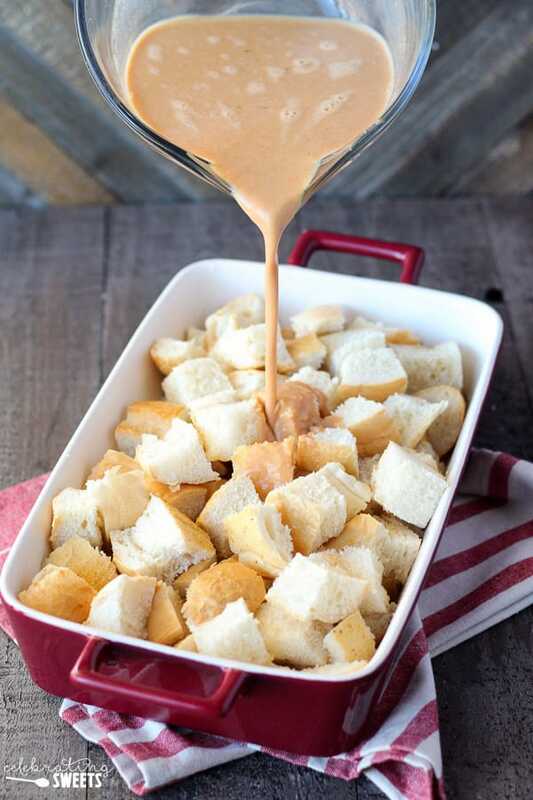 French toast casserole is made by placing cubed bread into a casserole dish and covering it with custard (eggs, milk, and flavorings) and then baking it in the oven. What makes this the perfect french toast for fall? It’s filled with pumpkin puree, pumpkin pie spice, brown sugar, and vanilla! Warm and cozy! 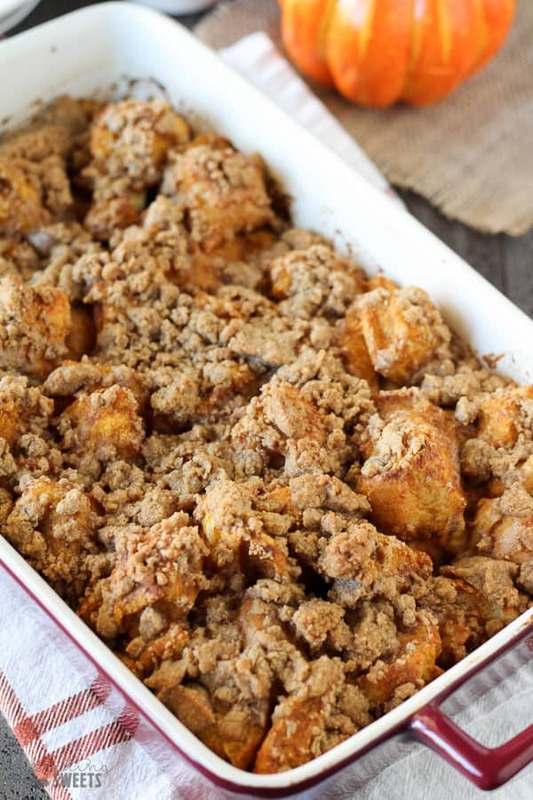 There is also a tasty brown sugar crumble which adorns the top of this casserole. 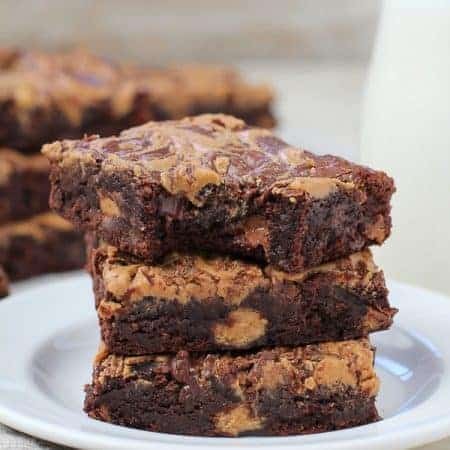 It adds a buttery, sweet, and crumbly crunch to each bite. The texture of the topping contrasts perfectly with the tender french toast underneath. This recipe can be prepped several hours in advance, which is great if you’re hosting a brunch or overnight guests. Most of this dish is hands off time. You can sip coffee (or mimosas?) with your friends and family while the French toast bakes in the oven. No standing over the stove flipping french toast – hooray! This French toast is perfect topped with warm maple syrup and a dollop of freshly whipped cream. Enjoy each fall-flavored bite! It’s absolutely sensational. Love pumpkin? 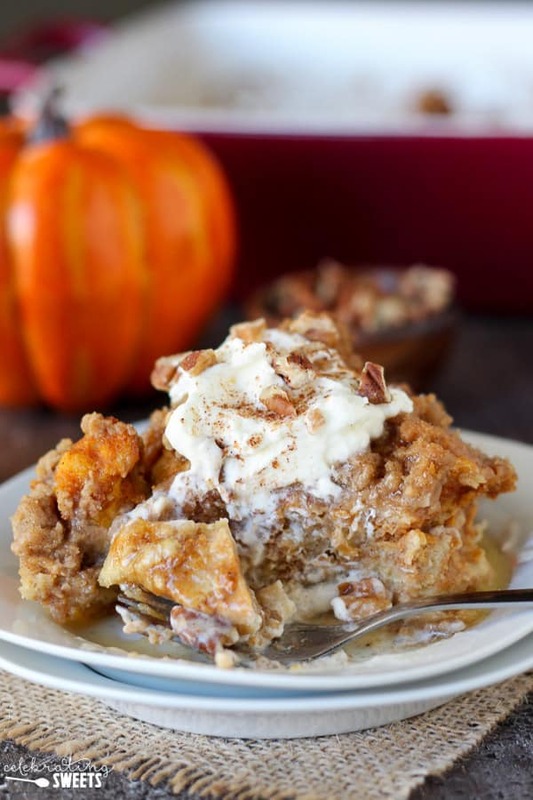 Check out these additional pumpkin recipes from my friends. Cinnamon Pumpkin Pancakes from Kleinworth & Co.
Pumpkin Spice Dutch Baby from Home.Made.Interest. 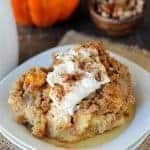 Baked Pumpkin French Toast Casserole filled with fall flavors - pumpkin, warm spices, brown sugar, and vanilla. The inside is soft and fluffy with a crunchy brown sugar crumble topping. An easy breakfast, brunch, or holiday entertaining dish that can be prepped ahead of time. In a large bowl, whisk eggs, milk, half and half, brown sugar, pumpkin puree, pie spice, and vanilla. Grease a 2½ or 3 quart casserole dish and place the bread cubes inside. Pour the custard (egg mixture) evenly over the bread. Lightly stir the bread around in the custard allowing all of the bread to get coated. Cover and refrigerate for 1-3 hours. Meanwhile, prepare the topping. Combine brown sugar, flour, pie spice, and salt. Add butter, and using a spoon or your fingers, work the butter into the dry ingredients until the butter is evenly distributed and the mixture resembles wet, clumpy sand. Cover and refrigerate until you are ready to bake the French toast. Preheat oven to 350°F. Remove the French toast from the refrigerator (the bread will have absorbed most of the custard). 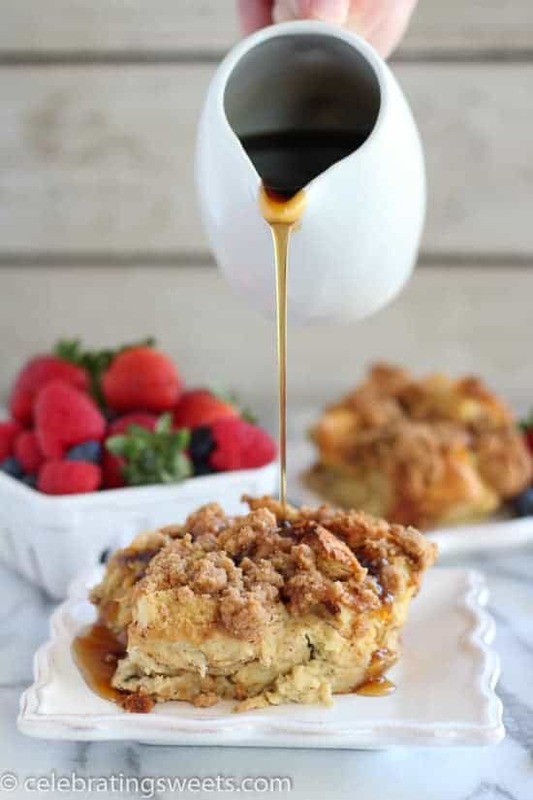 Crumble the topping over the top of the French toast. Bake for 40-55 minutes, until puffed, golden brown, and set (check that the center is not too wet). Baking time will depend on how deep your casserole dish is and whether you prefer your French toast more well done. Serve immediately with syrup, whipped cream and/or chopped nuts. 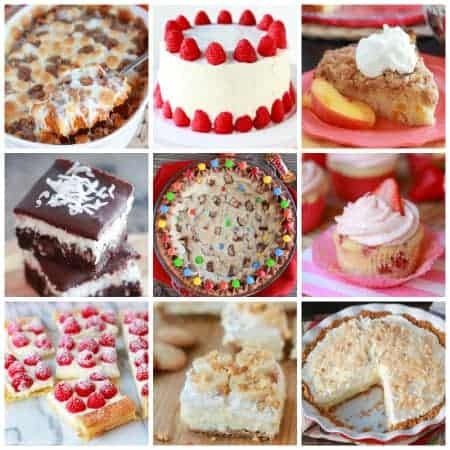 Leftovers can be refrigerated. That crumb topping! I need this over the weekend! 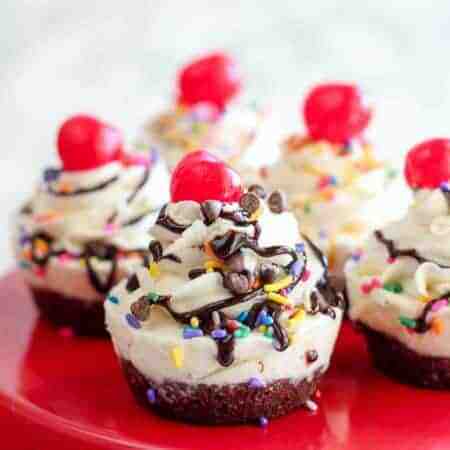 This look delicious!! I would have no problem waking up to this every day. This looks fantastic! Will have to try this on the weekend for my family! Allison this looks incredible. I’m going to see if I can work it in for breakfast this next week. Yummy. Wow! That look like an amazing recipe! I would love to try this especially since I absolutely love french toast, but this it taking it to a whole ‘nother level! Has anyone made this the night before, or is it too long to let it sit? Hi, Colleen. I have not made this specific recipe with an overnight rest. 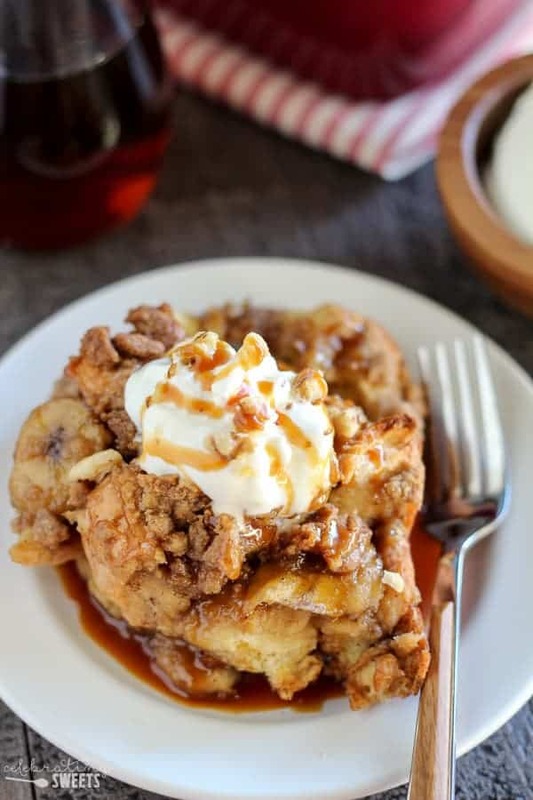 I have two similar recipes on my site (Cinnamon Vanilla French Toast and Brown Sugar Banana French Toast) and both of those can be made the night before. So, if I was to guess I would say that yes you could make it overnight, I just haven’t tried it. Make sure your bread is a day or two old and a little dried out so that it doesn’t become too mushy sitting overnight in the custard. If you try it please let me know how it turns out. Thanks! Enjoy! I’m so glad that you like it. It is one of my favorite fall recipes. Thanks for stopping by!